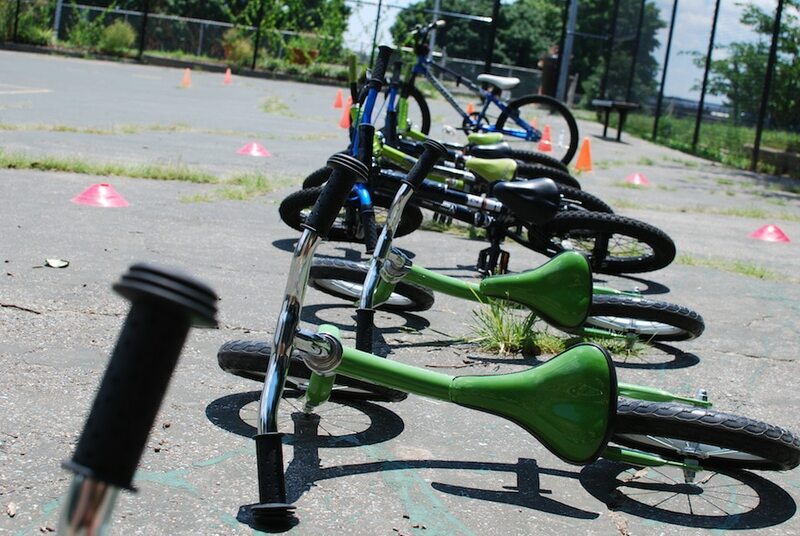 WABA provides youth bicycle safety education and programming in DC public schools, as well as skills challenge courses for community events. We can also help arrange for individual lessons for kids. 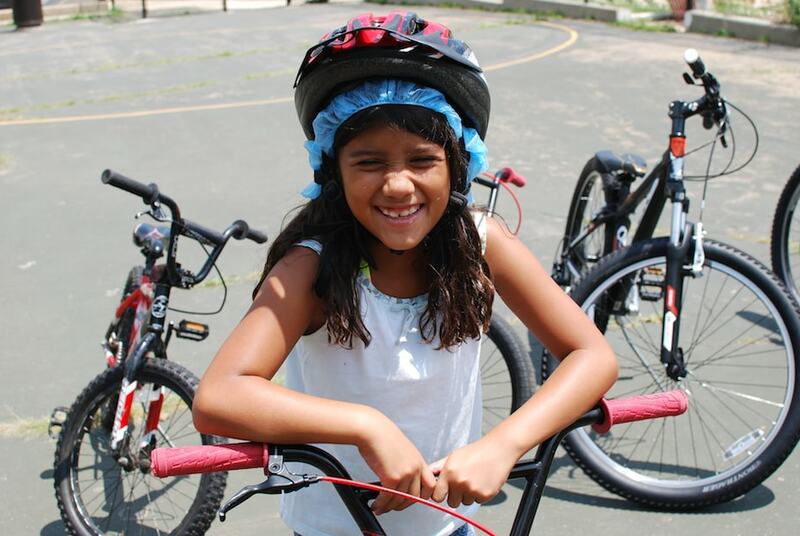 WABA teaches key elements of the District Department of Transportation’s Safe Routes to School program. 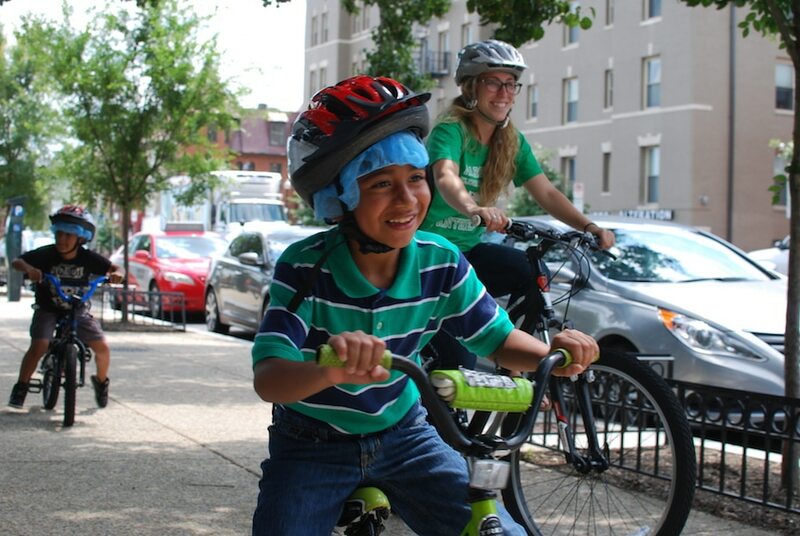 WABA instructors serve students in DC public and public charter schools, providing classroom and on-bike lessons. WABA maintains all materials necessary for the delivery of the program, including bikes and helmets. If you are a teacher or a school administrator and you want to bring our program to your students, email youth@waba.org for more information. If you’re a parent, help us connect with your child’s school by filling out our interest form here. WABA does not currently offer in-school education programming in Virginia or Maryland. If you have any questions about our former program in Maryland, please contact the Maryland State Highway Administration’s Transportation Alternatives program by phone at (410) 545-5675, fax at (410) 209-5025, or email at JSilwick@sha.state.md.us. While WABA doesn’t arrange for individual lessons, we do have an extensive list of certified instructors that may be able to help. Click here for our sign-up form. After submitting your contact info, you’ll be taken to a list of instructors to choose from. For information about WABA’s youth classes, email youth@waba.org. WABA’s education department is supported in part by your membership dollars. Join or donate to WABA today and help our programs reach further. Join our team! Find out how to become a WABA instructor. Want to volunteer with our youth programs?